What is at the heart of almost every securities case, whether the case is pursued by the government or a private party? It is a trail of money. The difficulty in prosecuting or defending a securities case is the fact that there is voluminous financial data that must be culled, analyzed, and presented in a way that proves the case. For the last three decades, securities and financial fraud cases have been evaluated by forensic accountants using manual processes. 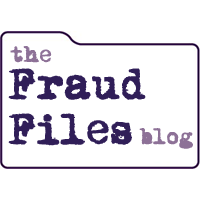 The financial investigators compared accounting data with source documents, ultimately trying to prove the source and use of funds. This is complicated, especially in large cases (which are the ones the government most often cares about), because there can be a multitude of involved people, entities, bank accounts, and brokerage accounts. The process of understanding and organizing the flow of funds is complex, and it can take months or even years before plaintiffs or defendants know exactly what happened to the money. Most attorneys don’t think about the issue of fraud in companies until a client (or their law firm) is hit by employee theft. It’s simply not one of those issues that is taken too seriously unless huge risks are identified or a crime has already been committed. Until then, fraud is just another “issue” that probably isn’t as pressing as other legal and operation matters. Once a sizable fraud is committed and detected, everyone is in fire drill mode to get to the bottom of the issue. Everyone wants to find out who stole the money, how it was done, and how in the world someone could get away with this at “our” company! While this reactive attitude is very common, it’s not the best for the long-term health of a company. Take a look at the frauds in the news, and most of them are huge. Huge frauds make huge news. As investors and the general public demand more transparency from companies and executives, the issue of fraud is being talked about more than ever. Everywhere we turn, the word fraud is rearing its ugly head. While fraud is a good thing if you make a living as a fraud investigator, it’s not so good for business and profits. The impact goes beyond dollars and cents, as fraud can negatively affect employee morale, employee work ethic, investor confidence, and customer loyalty. Yesterday ESPN published an article about AdvoCare, Drew Brees Has A Dream He’d Like To Sell You. 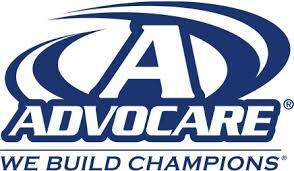 AdvoCare is a typical multi-level marketing (MLM) company. It focuses on selling a “business opportunity” and uses nutritional products to make it appear as thought they’re not promoting a pyramid scheme. Unfortunately, more than 99% of participants in MLM lose money, making it a “business opportunity” that is even worse than gambling at a casino. Mina Kimes did an outstanding job of digging into AdvoCare’s empty promises to distributors. It’s a long article, so I’m going to pull out some of the most interesting excerpts for you. Here is one of the most important things to remember: ESPN has nothing to gain from misleading you. They don’t care one way or another if AdvoCare or any other MLM is a legitimate opportunity. AdvoCare, on the other hand, lives or dies by the public perception… they are fully invested in consumers believing that they push a good and beneficial opportunity. AdvoCare, which has used athlete endorsers and event sponsorships to cultivate deep ties to the sports world, portrays itself as a company that “offers the average American the chance to make an above-average income,” but, in truth, only a tiny percentage of salespeople ever make significant money. UPDATE: The television segment has been pushed back, but the article is out today. ESPN has been investigating AdvoCare, a multi-level marketing company that sells a “business opportunity” using nutritional products as their hook. Today, ESPN’s investigative news show Outside the Lines is running a segment in AdvoCare, airing at 1:30pm Eastern time. The broadcast will be replayed on Sunday, March 20th at 9:30am Eastern time. The broadcast must be good, because Advocare launched into damage control mode a few days ago. The company has posted a video that purports to be an excerpt from the interview, but it is clearly a self-promotional piece. They also are promoting the hashtag #AdvoStrong. on Twitter. In conjunction with this broadcast, ESPN the Magazine is publishing an article about AdvoCare by Mina Kimes. Please check out both the segment and the article, as they both help shine a light on the negative effects of multi-level marketing. It’s easy to assume that upper-level executives in companies with fraud scandals were always bad people. By assuming that they were inherently bad people, we don’t have to confront the issues related to trusting people who seemed trustworthy. We don’t have to explore the idea that people can turn bad or choose a bad path or give in to greed. Yet the fact remains that many executives who committed fraud were at one time considered rising stars with good values. If it was recognized that their ethics were a little lower than preferred, some were still promoted because those in charge believed the results were more important than the methods.